In the past few years, I have asked several mixed martial artists, MMA leaders and fight fans about the appropriacy of trash-talking among fighters. By far, the best answer I received was the one I had from Brave Combat Federation president Mohammed Shahid in an exclusive interview in Makati City, Metro Manila, Philippines. While the Ultimate Fighting Championship allows its fighters to badmouth each other online and offline, ONE Championship is just the opposite. I asked Shahid which side is Brave CF on when it comes to trash-talking. As Shahid noted, it is not a secret that MMA promotions study the culture of their target audience and based on their findings, they give what their fans want to hear. But in Brave CF, athletes are not encouraged to trash-talk but they are not prohibited from doing so either. Brave CF does not dictate how its athletes should behave just to follow a brand image. The promotion gives its fighters a platform and they can do whatever they want with it, Shahid said. Apparently, Brave CF is not interested in creating a brand based on the reputation of its fighters. The promotion has no plans in controlling the fighters’ social media activities either. Reigning Brave CF Bantamweight Champion Stephen “The Sniper” Loman, 23, is training out of Team Lakay in Baguio City, Philippines. 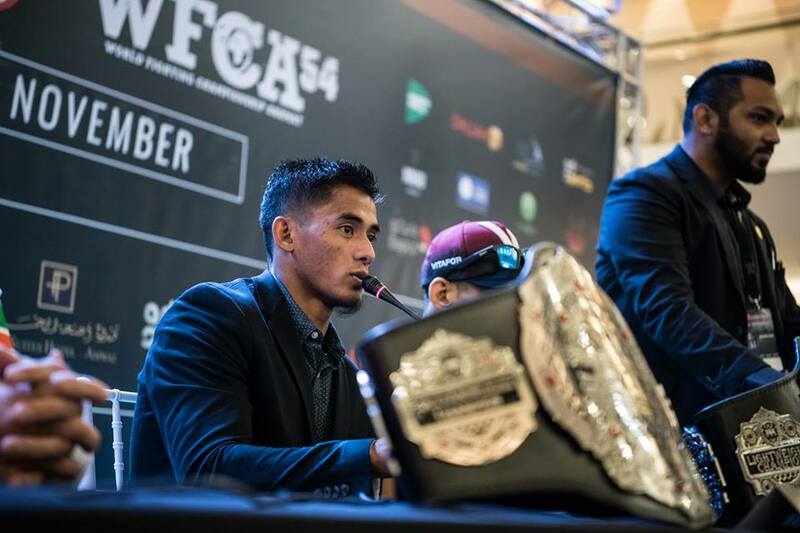 Many Team Lakay fighters are signed with ONE Championship, which is not known for having fighters who trash-talk each other. Loman is not the kind of fighter who wreaks havoc by trash-talking. But if he decides to do so, Brave CF would not mind. On March 15, 2019, Loman will defend his title for the third time. Former Brave CF Featherweight Champion Elias “Smile” Boudegzdame, 25, of France will challenge the Team Lakay fighter at “Brave 22: Storm of Warriors” at the SM Mall of Asia Arena in Pasay City, Metro Manila, Philippines.